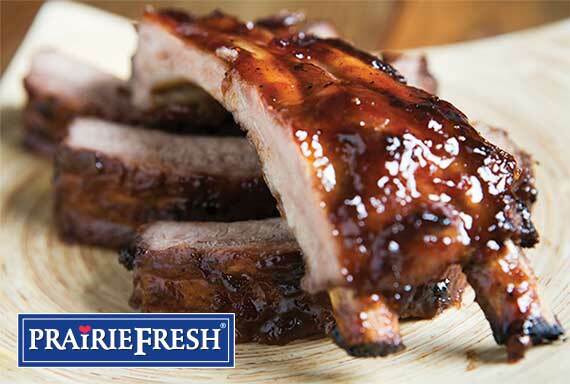 This Saturday, PrairieFresh pork baby back ribs are on sale for just $1.99/lb. These all-natural ribs containing no artificial ingredients are lean and meaty—perfect for game day grilling! Designed by Dr. Liz Applegate, Ph.D.
21-days to a healthier you! Developed by Dr. Liz Applegate, this challenge is designed to help you establish a realistic diet and exercise routine that can become part of your everyday lifestyle. For 21 days—typically the amount of time it takes to make new eating and exercise practices part of your daily routine—follow along with our menu and exercise plans. Our free brochure is available in stores now, or you can download it from our website. Instead of starving yourself and biting off more than you can chew at the gym, embark on a different journey, one that changes your lifestyle and health for good. This straightforward three–week eating and fitness program, designed with busy people in mind, is more about making good–for–your–body decisions rather than punishing you with cutting calories and tough–to–do workouts. 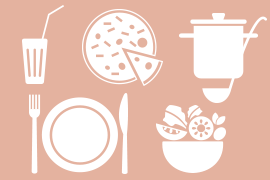 The menu design incorporates these basics while using everyday nutrient–dense basic foods. Print a shopping list for the week and note that making extra one day (brown rice, slow–cooked pork and veggies) will help you save time by using leftovers and keeping you on track later in the week. The menu plan supplies approximately 1800 to 2000 daily calories. Adjust portions to meet your energy needs and weight control goals. Also switch out foods that pose an allergy or intolerance concern (soy for dairy or brown rice noodles for wheat pasta). Daily exercise that conditions your vascular system for better fitness as well as building key muscle groups for more strength is vital for a more functional and healthier life. For example, building core strength (body’s midsection–abdomen region) makes simple activities easier, such as carrying boxes, and can also lower the risk of suffering from a back injury on days you overdo. Like your food choices, variety is key! Follow our step-by-step fitness tutorial featuring two of our talented associates. Tammy Campbell and Don Ashton are committed athletes in addition to being Nugget Markets associates. Tammy (Vacaville Nugget Markets kitchen manager) and Don (Woodland Nugget Markets wine steward) are fierce, accomplished competitors. 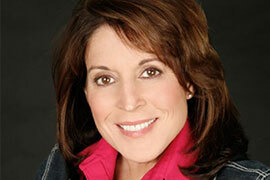 You'll find Tammy weight training and running 70–90 miles per week and she’s qualified for the 2014 Boston Marathon. Don trains by swimming, biking, and running and has competed in the Ironman Triathlon and the California International Marathon. It’s Friday, and that means we’re hosting wine tastings at the following Nugget Markets locations. Join us at just $5/flight and attendees must be at least 21 years of age. Join us for a day of all things local! Celebrate our newly remodeled store and mingle with local producers while sampling some of our favorite products produced within 100 miles of our home offices in Woodland. Prices valid January 29 - February 4, 2014.